Activist Insight data show the difference in male and female board appointments made by activists in 2018. Just 19 of the 143 directors placed on boards by activists in 2018 were female, according to Activist Insight Governance. At a time when board diversity has come to be a maxim for public companies, activist investors have some catching up to do. Of the 2,542 director appointments at Russell 3000 companies tracked by Activist Insight Governance, 143 were placed by activists through proxy contests or settlement agreements – and 124 of those were male. 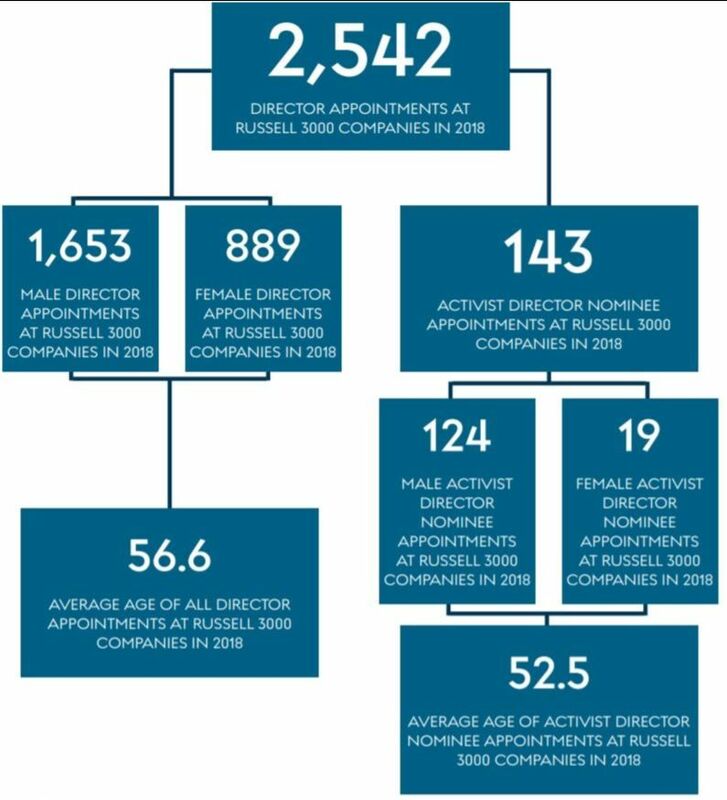 In total, just 16 of the 57 activists who appointed directors to Russell 3000 company boards appointed at least one female director during 2018, with only three activists appointing more than one female director during the year. Those were Starboard Value, Elliott Management (both with two female directors appointed), and Legion Partners Asset Management with four. Six activists appointed more than two directors without appointing any female directors, including Carl Icahn, whose tally for 2018 was 18 director appointments. Companies fared better without activist help. 35% of all Russell 3000 director appointments were female, compared to 13% for activist-assisted appointments. 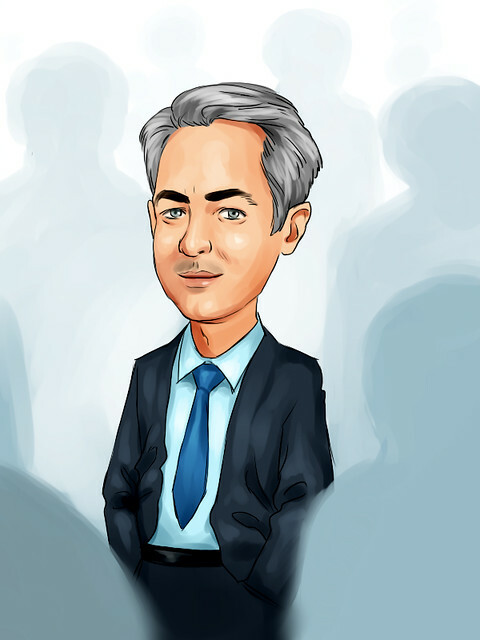 For more information, email jblack@activistinsight.com. Please note that bespoke data requests may take up to 48 hours to completed depending on the amount of labor required. 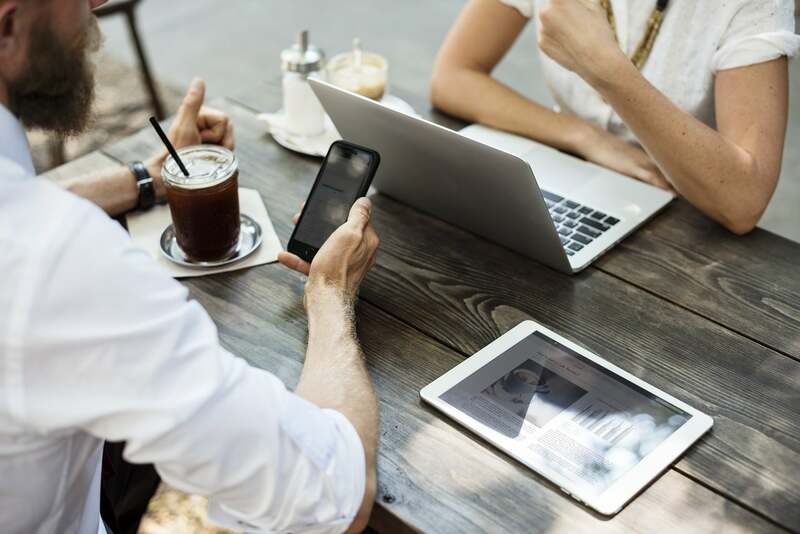 The data were collected as part of an article on governance by Activist Insight editor-in-chief Josh Black that featured commentary by industry experts, which can be downloaded here. If you are an Activist Insight subscriber, simply log in to your account and access the reports page to view your copy. N.B. Data includes appointments named as part of settlement agreements or dissident slates that are subsequently appointed to the company’s board. Nominations not appointed to the board are excluded.